The best dressed hog in the forest! They look every inch the gentleman, one of those retired generals you get in the cosiest murder mysteries. Strong, proud, good-natured, his powerful physique softened by age to make him appear all the more congenial. His greatest flaw is his propensity to bluster and rage against the modern age with its "jazz", "flappers" and complete lack of propriety. He saw a woman driving a car last week. And he can scarcely move for all the knees on display. Knees! Everywhere! And then there's Nancy, his mistress. But surely he deserves a little comfort in his retirement? He certainly didn't come to Lord Steeplebrook's fancy dress do (dressed as a civilian!) to have his private life aired to all and sundry by a small, interfering Belgian who fancies himself a sleuth. And what could dear Nancy have to do with the murder of the great heiress Mrs. Faversham, anyway? It's outrageous! 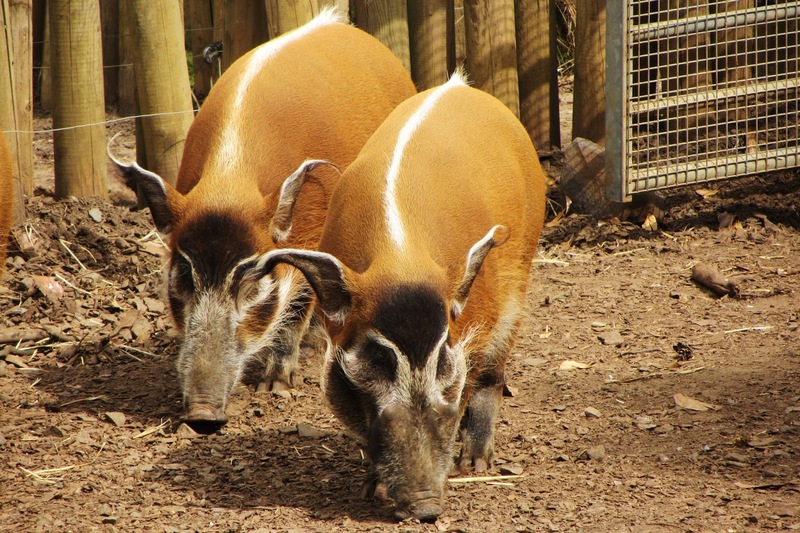 Red River Hogs come from west and central sub-Saharan Africa, and with a length of between 1 and 1.5 metres (3 to 5 feet), they are Africa's smallest pig on average. They spend much of the day hidden and resting in the rainforest. At night, they use their sensitive nose and large canines to sniff out and root out roots and tubers. They also make a meal of fruits, herbs, eggs and the occasional meaty treat like insects, lizards or carrion. They eat, in other words, anything. These night-time foraging expeditions are done in small groups of about 6 to 20 individuals. They'll include one male, who has a a pair of warts on his face and tusks in his mouth, and a few females each accompanied by a litter of 1 to 6 youngsters. 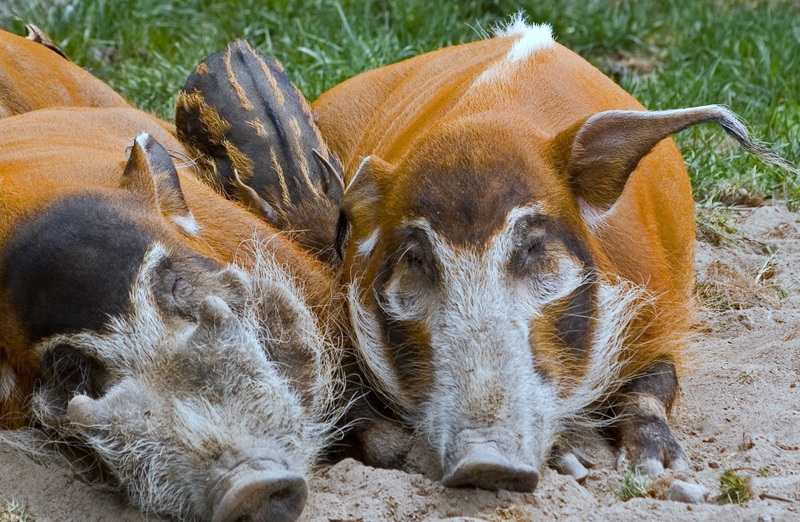 The Red River Hog has an interesting relationship with another pig called the Bushpig. 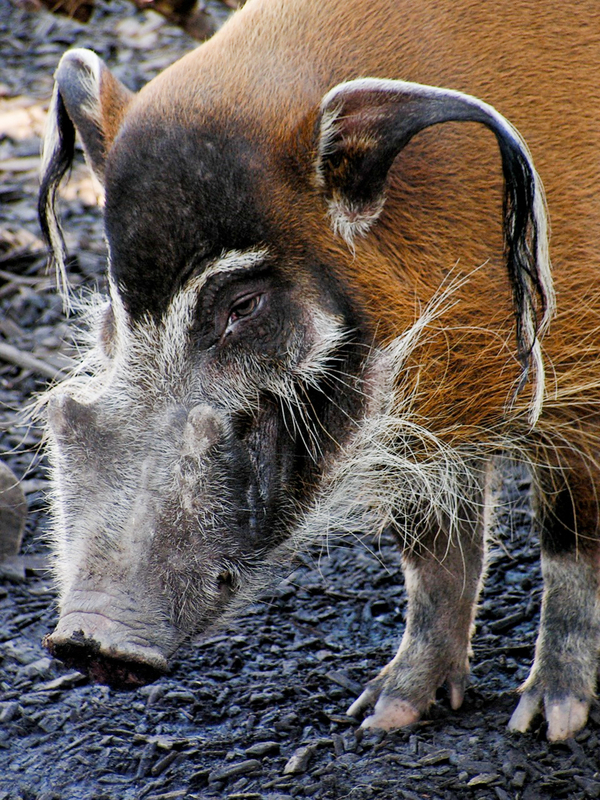 It lives in south and eastern Africa, all the places in sub-Saharan Africa that the Red River Hog doesn't. 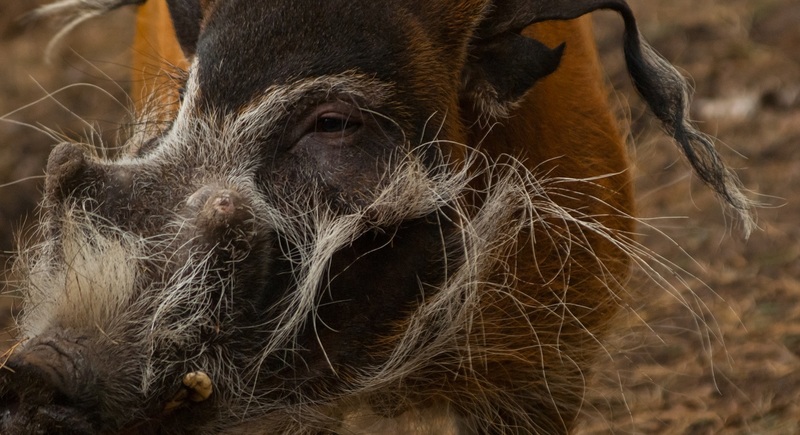 Many people think they interbreed wherever their respective ranges meet and indeed, Red River Hogs get increasingly less red and more black the further east and south you go. They were long considered to be the same species, as if the Bushpig was just more flamboyantly dressed in the west. 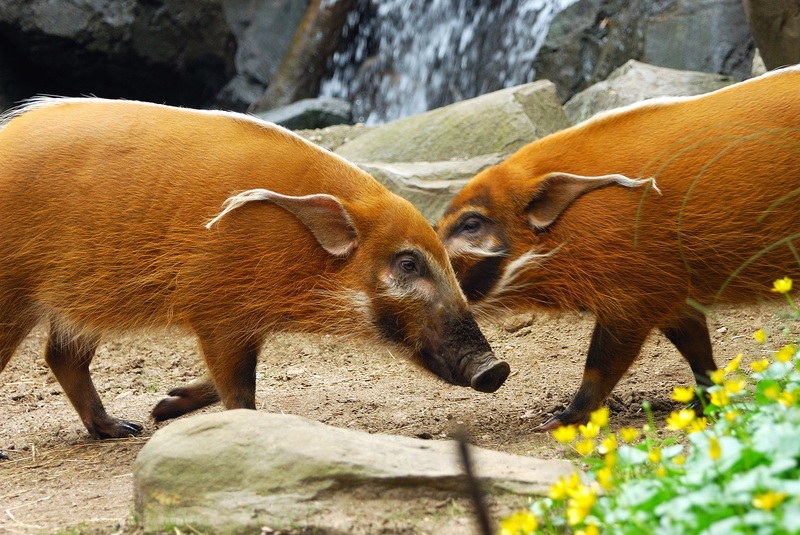 Now we know that the Red River Hog is its own separate species, but they're no less flamboyant! you can keep mr. warty face. These guys look like they ought be making presents for all the good little piggies all over the world to receive on Pigsmas. 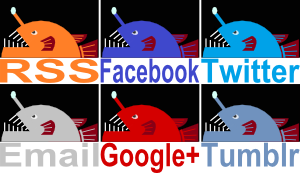 @TexWisGirl: Warts and tassels are not a common combination!